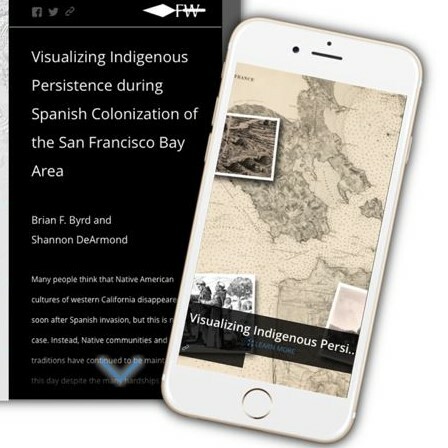 In a collaborative melding of archaeology, written records, and GIS spatial modeling, Brian Byrd and Shannon DeArmond have created a web application – Visualizing Indigenous Persistence during Spanish Colonization of the San Francisco Bay Area – suitable for the public and scholars. This engrossing demonstration focuses on the first chapter in a long story of Native community strength and durability in the midst of early Spanish colonization of the San Francisco Bay Area. 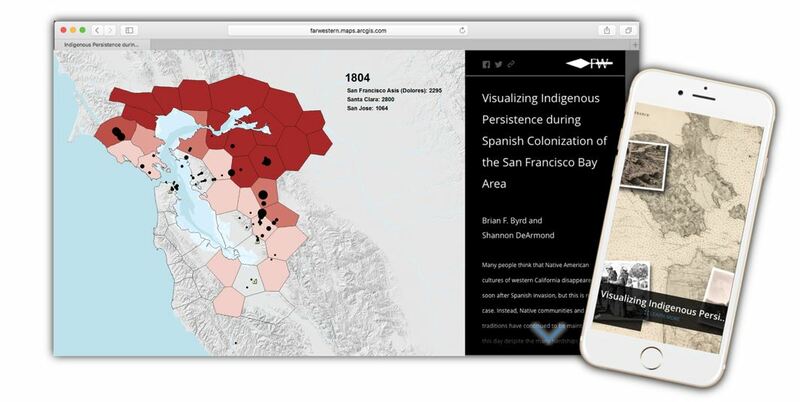 Through visualization, mission records, and archaeological evidence, Brian and Shannon track initial resistance and widespread persistence of traditional Native villages in the Bay Area, despite Spanish efforts to quickly relocate people to colonial settlements. The app highlights variability in the pace of Spanish colonial impact in the region. Using mission baptismal data and Dr. Randall Milliken’s Community Distribution Model, the app shows the timing of disruption of traditional native communities both in the Bay Area and elsewhere in western California. Brian and Shannon hope this unique application of Spanish Mission baptismal data will inspire others to explore these data in new ways.